probably materially incorrect. That the term j^\ ^.^[=>. exactly render what astronomers understand by anouwly. .^sl\ £u\ l<.^\\. 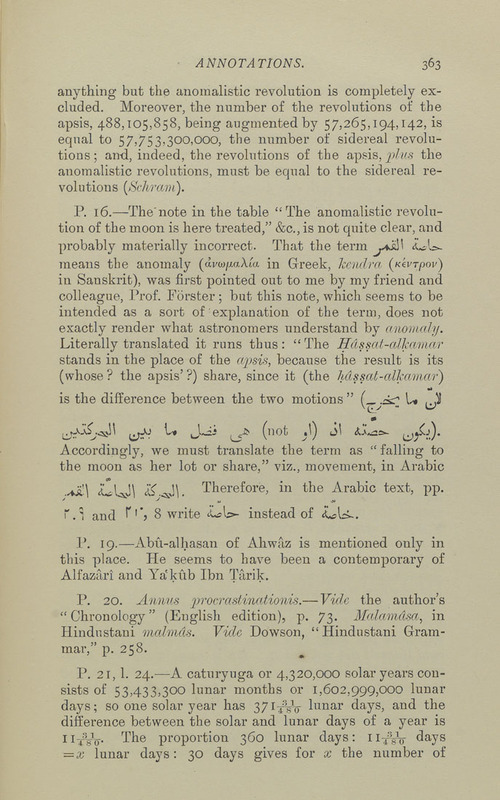 Therefore,   in  the Arabic text,  pp. f.l and  f'*? 8 write 'X.^\s>- instead of haXd*-. Alfazari and Ya'kub Ibn Tarik.